Okay according to wikipedia, Faux moonbow is; A colored circle around the moon is not a moonbow—it is usually a 22° halo produced by refraction through hexagonal ice crystals in cirrus cloud. Colored rings close to the moon are a corona, a diffraction phenomenon produced by very small water droplets or ice crystals in clouds. Last night was unforgettable as I saw this rare phenomenon with my naked eye! 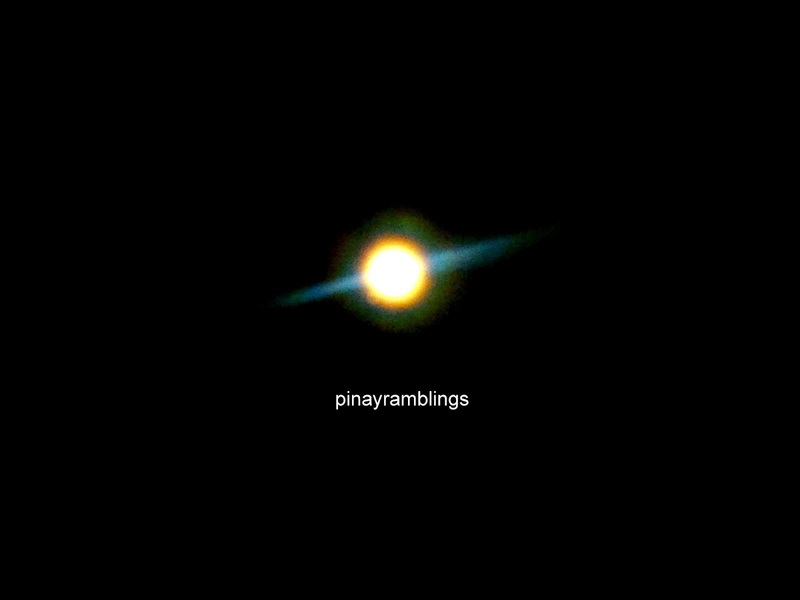 Too bad I only have my Nokia phone last night to take a quick shot (it still produced a decent pic, though it would have been better if a DSLR was used). I looked up photos of rainbows or moonbows in Google but none of them can compare to the amazing sight I saw last night. Amazing, wish to see it as well. Maybe next time.